Brussels Declaration "The Ocean and Climate Change"
Recall that the “Because the Ocean Declaration” encourages Parties to the Paris Agreement “to consider submitting Nationally Determined Contributions (NDCs) that promote, as appropriate, ambitious climate action in order to minimize the adverse effects of climate change in the ocean and to contribute to its protection and conservation”. Underline the critical importance of science based policy making and call on all countries to engage with and support the United Nations Decade of Ocean Science for Sustainable Development (2021-2030). Commit to continue engaging constructively in developing by 2020 an international legally binding instrument under the UN Convention on the Law of the Sea, on the conservation and sustainable use of marine biological diversity of areas beyond national jurisdiction, recognizing that the conservation and sustainable use of ocean biodiversity require tools, in particular area-based management tools, to improve its resilience in respect of climate change . and that combating the adverse impacts of climate change must be in accordance with this future instrument. Call on the international community to duly examine the IPCC Special Report on the Ocean and Cryosphere in a Changing Climate (IPCC SROCC) to be released in September 2019 and in particular to consider current and future sea level rise risks, resulting in biophysical, ecological, economic, political, cultural, social and psychological impacts, displacement and resettlement, as well as the effects of climate change on marine ecosystems and the livelihoods of dependent communities, and the implications of different mitigation measures. Express our deep concern over the findings in the IPCC Special Report on Global Warming of 1,5°C (SR1.5) , unequivocally confirming the negative impacts of climate change, including on the ocean. Are deeply concerned with the finding of the IPCC SR1.5 that current NDCs are not sufficient to meet the long- term temperature goals of the Paris Agreement. Encourage all parties, as appropriate, to include actions related to the ocean, including coastal and marine nature-based solutions, when preparing and implementing their NDCs, their adaptation communications and their long term low emissions development strategies. Endorse the Talanoa Call for Action presented at COP24 and call on all Parties to the Paris Agreement to consider the outcome, inputs and outputs of the Talanoa Dialogue in preparing their NDCs and long-term low greenhouse gas emission development strategies. Look forward to the UN Climate Summit in 2019 as an important opportunity to raise ambition for achieving the Paris Agreement goals. Call on all Parties to the Agreement to present at the Summit their progress and future ambition. Urge all Parties to the Paris Agreement to reflect on their levels of ambition and start, as soon as possible, preparations of their NDCs to be communicated by 2020 that are in line with the agreement and its goals and encourage all parties to elaborate at the Summit on possibilities for enhanced NDCs by 2020. This in line with long term low emission strategies consistent with a trajectory towards carbon neutrality, and taking duly into account the outcome, inputs and outputs of the Talanoa Dialogue, including, in particular, the IPCC SR1.5. Encourage States to invest in ocean and climate research, including on underlying processes and options at the regional and local level, for delivering the best science for preserving a healthy and resilient ocean in a globally changing environment and supporting the implementation of international policies. In this regard, call upon all to develop and implement short, mid and long term policy plans and strategies aiming at ensuring that the potential for clean, sustainable and cost-effective renewable ocean energy is optimally captured; and to develop marine spatial plans, that safeguard the biodiversity, resilience, food security, connectivity and services of marine ecosystems and the livelihoods of local communities in that context. Urge for continued support to the SIDS Lighthouses Initiative, for example by developing renewable ocean energy roadmaps. 1 Corresponds to a decline by around 22% from 1990 levels by 2030 (Le Quéré et al. 2018). 2 Including, but not limited to offshore wind energy, wave energy, tidal energy. Reaffirm that achieving the balance between emissions and removals of greenhouse gases in the second half of this century as required by the Paris Agreement requires urgent and ambitious action within the sector of international maritime transport. Recall the commitments of the Tony De Brum Declaration, calling for urgent action in the international shipping sector to reduce GHG. Encourage States to be ambitious leaders in acting on climate change in the shipping sector. Recall the initial IMO Strategy on Reduction of GHG Emissions from Ships and encourage the IMO to adopt and implement significant GHG emission reduction measures before 2023, in order to help ensure that the long- term temperature goals of the Paris Agreement are met. Call on the IMO to adopt a revised GHG strategy, by 2023, as agreed taking into consideration IPCC findings, and IMO greenhouse gas emissions studies, so as to secure a healthy future for the oceans and humanity, in particular the survival of the most vulnerable countries. This declaration will be signed by the representatives of the countries and interested parties attending the High-level Conference on Climate Change and Oceans Preservation, which will be hosted in Brussels on 19 February 2019. This conference is an initiative of the Belgian ministers Marie Christine Marghem, in charge of Energy, Environment and Sustainable Development and Philippe De Backer, in charge of the North Sea. This text brings together numerous political actions on the themes of the oceans and climate change. the IPCC Special Report on the Ocean and Cryosphere in a Changing Climate (to be released). It also stresses the critical importance of science-based policy-making and encourages ocean and climate research. urges all Parties to the Paris Agreement to start preparations of their NDCs to be submitted by 2020. The declaration calls on all to develop, adopt and implement the necessary visions, policy plans and strategies regarding cost-effective renewable ocean energy and marine spatial planning, safeguarding the biodiversity, resilience, connectivity and services of marine ecosystems and the livelihoods of local communities in that context. The declaration also emphasizes the need to undertake urgent and ambitious emission reductions within the sector of international maritime transport (shipping), in line with the Tony De Brum Declaration. 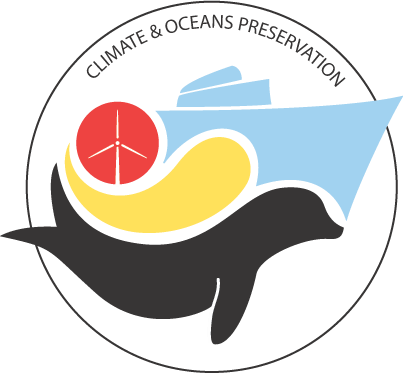 It also urges the International Maritime Organization to adopt and implement measures to significantly reduce GHG emission before 2023 as well as it encourages States, international organizations and the private sector to invest in research and development, deployment of innovative technologies, capacity-building and technical cooperation.